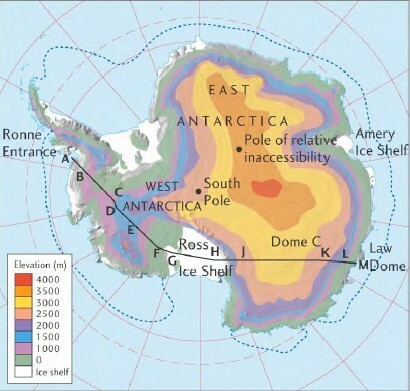 Scientists at British Antarctic Survey (BAS) have produced the most detailed map of underneath Antarctica — its rock bed. 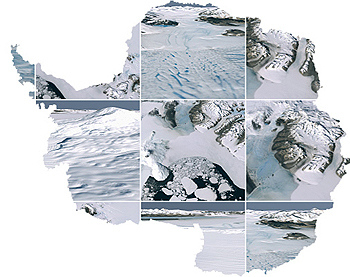 BEDMAP is a close-up view of the landscape beneath the Antarctic icesheet and incorporates decades of survey data acquired by planes, satellites, ships and even researchers on dog-drawn sleds. 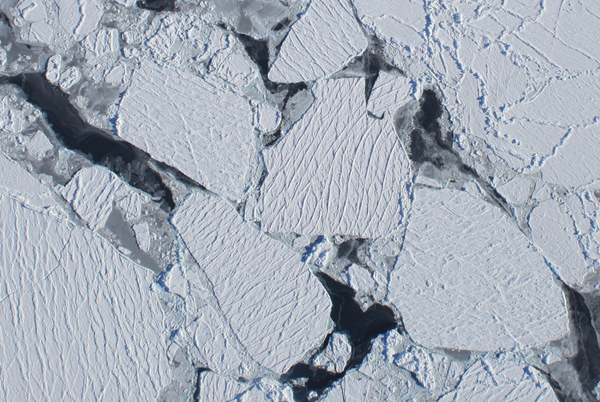 A view from a science flight over Antarctica: what sea ice looks like from 20,000 ft. straight up. 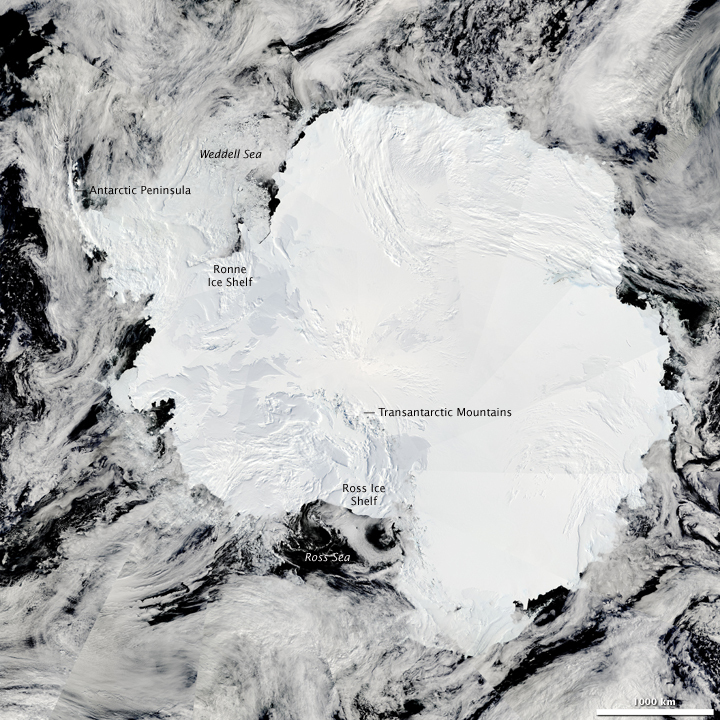 Antarctica has some seven million cubic miles of ice, representing some 90 percent of the world's total. The ice averages one and a half miles in thickness (7,100 feet-2,164 meters), with the thickest ice being almost three miles thick (15,7000 feet-4,785 meters). 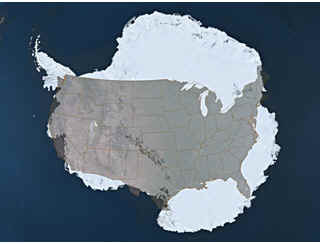 Antarctica is as large as the United States and Mexico combined. 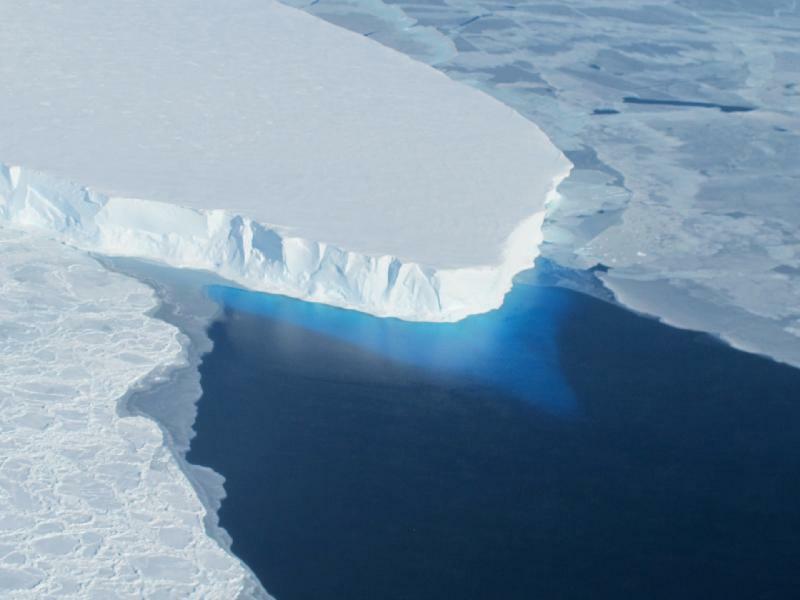 If the West Antarctic ice sheet were to melt, global seas would rise by 15 to 20 feet. If the East sheet were to melt as well, seas would rise by as much as 200 feet, swamping many oceanic islands and redrawing the world's coastlines. 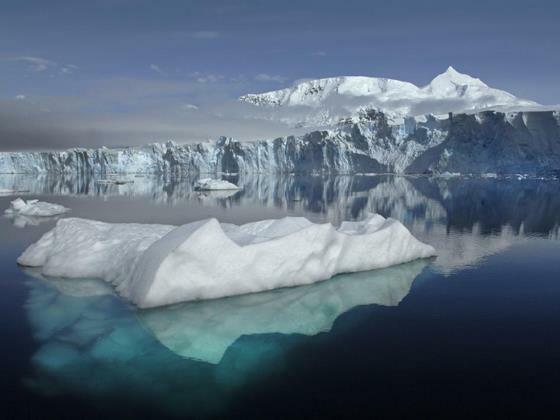 Antarctica's ice is so heavy that it compresses the land surface over much of the continent to below sea level. Only two native vascular plants, the Antarctic hair grass Deschampsia antarctica and a cushion-forming pearlwort, Colobanthus quitensis, survive south of 56°S. They occur in small clumps near the shore of the west coast of Antarctic Peninsula. Also about 150 lichens, 30 mosses, some fungi and one liverwort can be found. 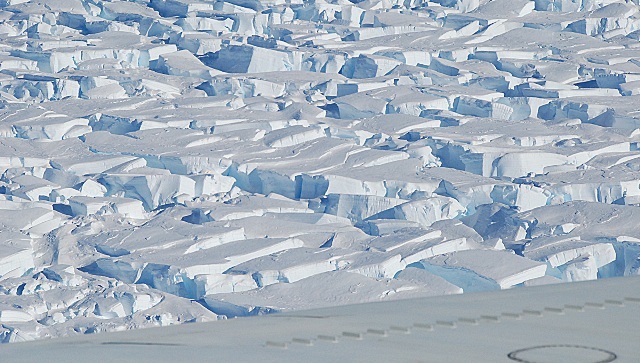 More than 300 species of non-marine algae have been found in Antarctica. Antarctica truly is the “last place on earth.” It wasn’t discovered until 1820 and explorers didn’t reach the South Pole until 1911. 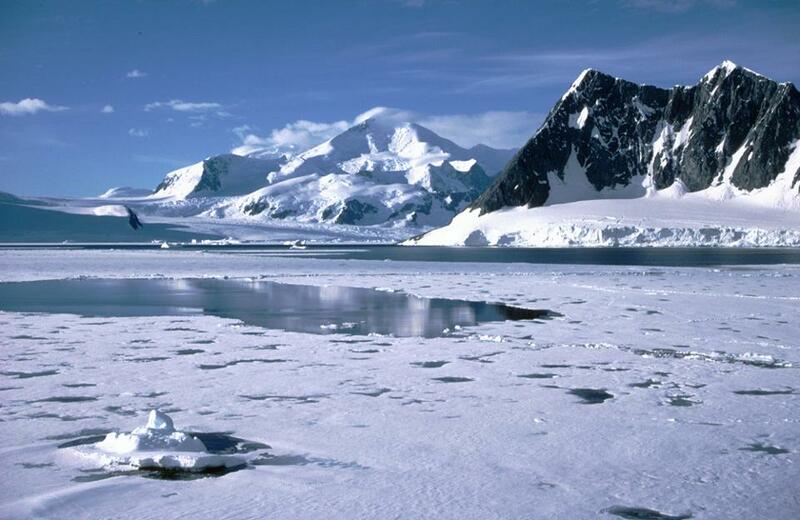 Antarctica is the coldest continent; temperatures in the winter can drop below minus 100°F (minus 73°C). The lowest temperature ever recorded on earth came from Russia’s Vostok Station: minus 128.6°F (minus 89.2°C) on July 21,1983. 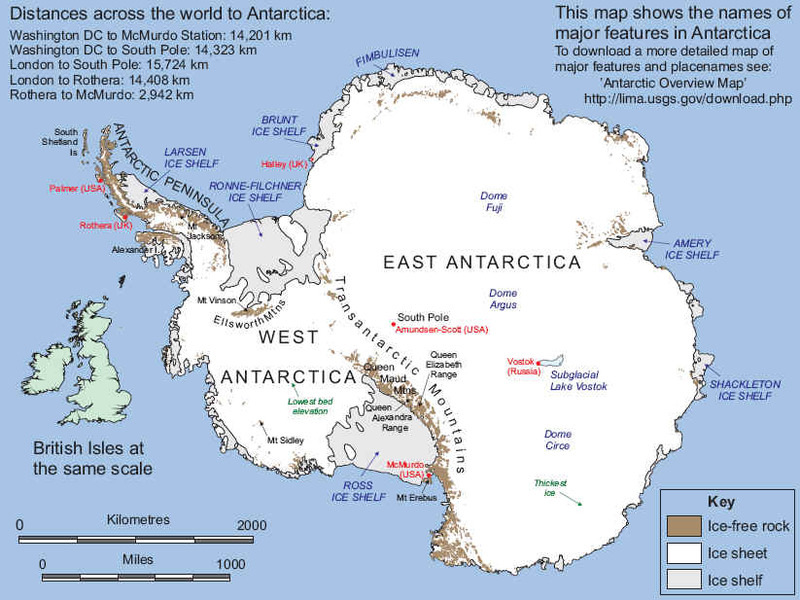 Antarctica is also the driest continent, in fact it is almost entirely desert. Very little snow falls on the interior of the continent. However, because it is so cold, whatever snow does fall doesn’t melt. Over time this little amount of snow (just a few inches per year) has slowly accumulated into a massive ice cap. 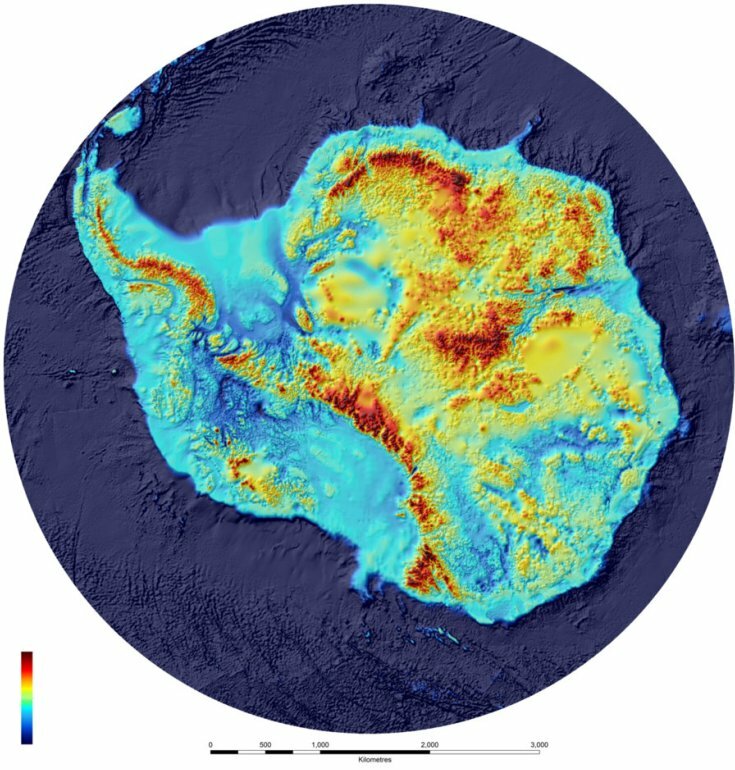 About 99% of Antarctica is covered by snow and ice. The ice thickness reaches 4 km (2.4 miles) in some places. 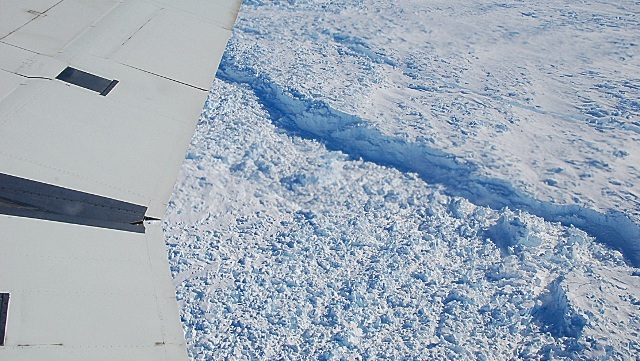 This ice flows off of the continent creating numerous floating ice shelves where the flowing ice meets the ocean. 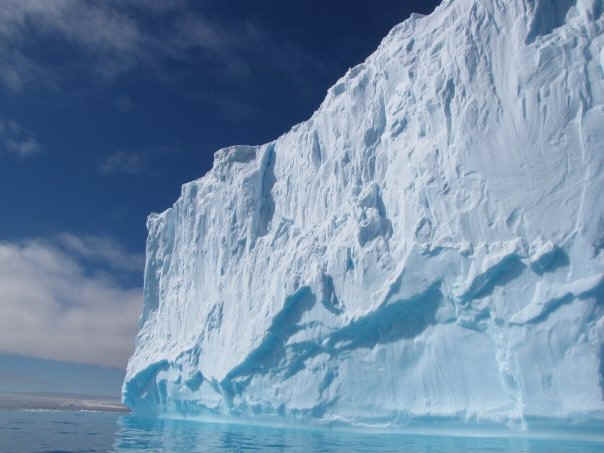 These ice shelves in turn give rise to many icebergs. 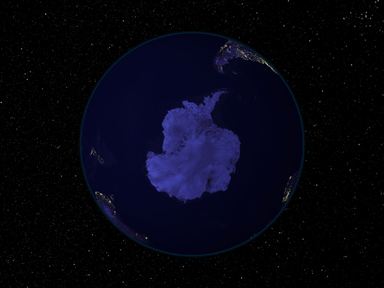 The Antarctic ice cap contains about 70% of the planet’s fresh water and about 90% of its ice. The southernmost active volcano in the word, Mt. Erebus, forms an island at the edge of the Ross Ice Shelf. 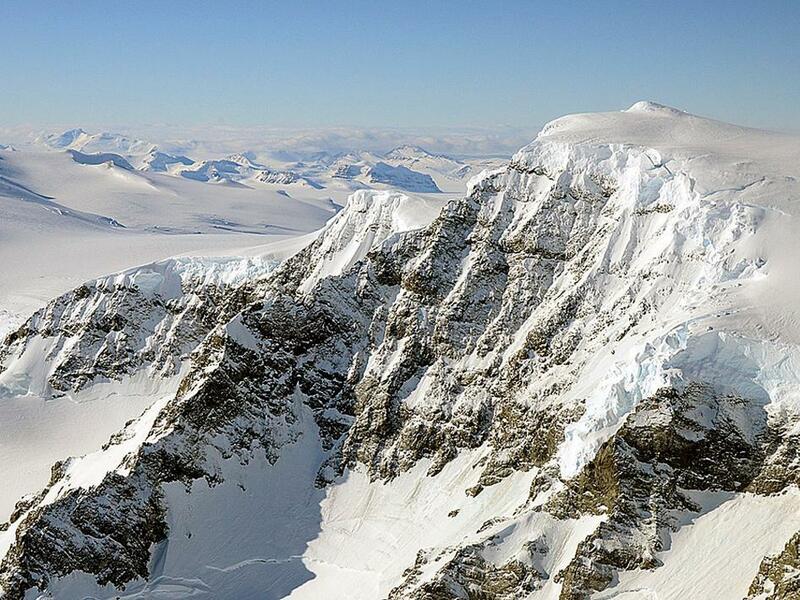 This mountain rises more than 3,700 meters (12,100 feet) above the surrounding Ross Sea and McMurdo Sound area. Two Antarctic research stations, Scott Base (N.Z.) and McMurdo Station (U.S.) are located on the southern tip of this volcanic island. Antarctica has no true permanent residents. Fewer than 1,000 people winter over in a given year; the summer population is substantially higher as scientists and support staff from over 27 countries converge on the continent. The Antarctic Treaty System is the whole complex of arrangements made for the purpose of regulating relations among states in the Antarctic. At its heart is the Antarctic Treaty itself. The original Parties to the Treaty were the 12 nations active in the Antarctic during the International Geophysical Year of 1957-58. The Treaty was signed in Washington on 1 December 1959 and entered into force on 23 June 1961. The Consultative Parties comprise the original Parties and a further fourteen States that have become Consultative Parties by acceding to the Treaty and demonstrating their interest in Antarctica by carrying out substantial scientific activity there. The primary purpose of the Antarctic Treaty is to ensure "in the interests of all mankind that Antarctica shall continue forever to be used exclusively for peaceful purposes and shall not become the scene or object of international discord." To this end it prohibits military activity, except in support of science; prohibits nuclear explosions and the disposal of nuclear waste; promotes scientific research and the exchange of data; and holds all territorial claims in abeyance. The Treaty applies to the area south of 60° South Latitude, including all ice shelves and islands. The Treaty is augmented by Recommendations adopted at Consultative Meetings, by the Protocol on Environmental Protection to the Antarctic Treaty (Madrid, 1991), and by two separate conventions dealing with the Conservation of Antarctic Seals (London 1972), and the Conservation of Antarctic Marine Living Resources (Canberra 1980). The Convention on the Regulation of Antarctic Mineral Resource Activities (Wellington 1988), negotiated between 1982 and 1988, will not enter into force.